As a beginner, the amount of lessons and tips on this site (let alone the entire Internet) can be a bit overwhelming. So where do you start? What areas of the game should you focus on first? It outlines a step-by-step process for selecting the most appropriate areas for you to focus on as a new golfer. 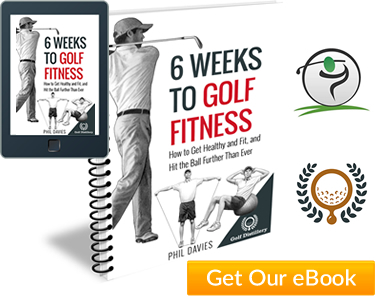 Follow this guide and the lessons it directs you to, and you’ll develop a golf game that will serve you well for many years to come! Every golfer has experienced hitting the perfect golf shot. They know what it feels like to strike the ball straight and true, right out the middle of the club. But rarely are they able to hit great shots for an entire 18 holes. Or, if they play a great round of golf one week, it’s back to square one the next. It’s nearly always down to an inefficient golf swing that is very difficult to repeat with any level of accuracy and control. 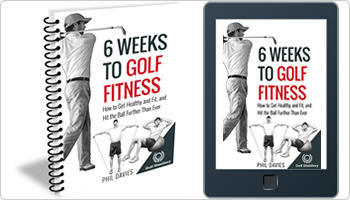 Because you haven’t spent years ingraining bad habits, it will be much easier for you to build a solid, reliable golf swing around proven fundamentals. 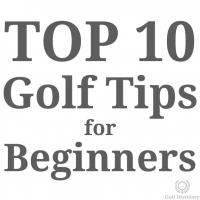 So make a commitment to really master the proven fundamentals in the lessons and beginner golf tips below. Remind yourself of them every time you practice and re-visit these lessons at regular intervals. Don’t just head to the range and hit ball-after-ball hoping to get better solely through repetition. Yes – you’ll make some progress that way but, unless you have hours every day to spare at the range, it will be slow and frustrating. Unlike many sports, the ball in golf doesn’t move. That means you’re able to prepare yourself perfectly for each and every shot. There’s nothing complicated or difficult about a good setup position yet so many faults stem from getting it wrong. 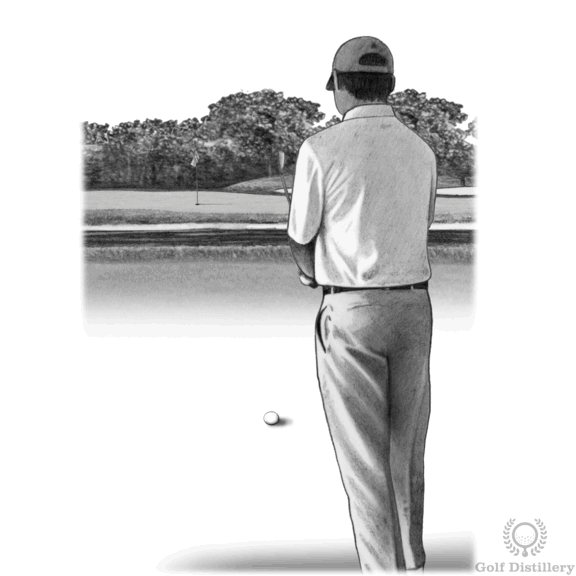 The fact that setting up correctly can seem so obvious and even a little mundane, is probably why many amateur golfers completely overlook it. But if you fail to check your set up position on a regular basis (every time you practice isn’t a bad idea) it’s so easy to adopt bad habits. 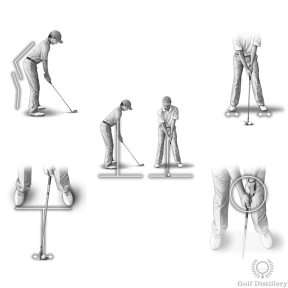 Watch the following lessons and tips in the order below to master a great golf setup. Keep a golf club to hand at home or in the office and spend time every day for a few weeks adopting the ideal set up (this will make it second nature on the golf course). It’s a good idea to stay away from the practice range until you’ve mastered the setup position. 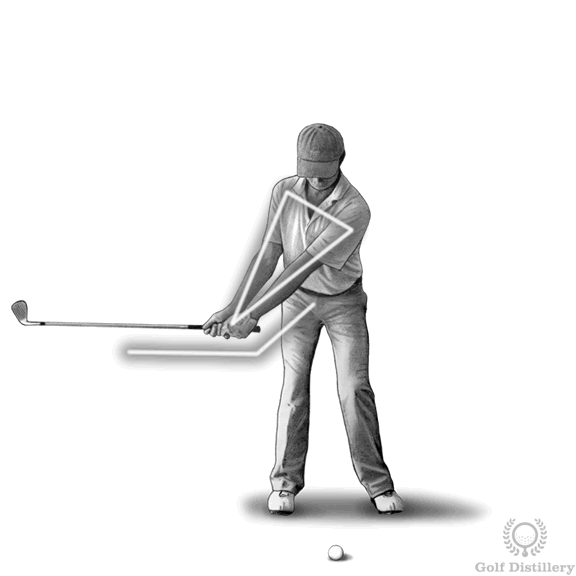 There is no single, perfect golf swing, but there are certain golf swing basics, key elements and positions, that can make your swing more efficient, easier to control and more consistent. 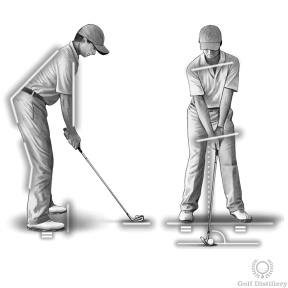 You can build your swing around these elements by following the videos below. They break the golf swing down into different stages and then give you a series of checkpoints for you to work on at home. 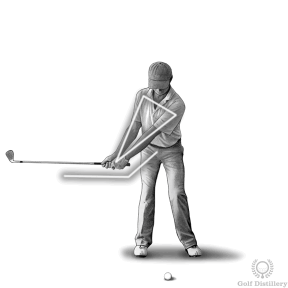 Watch the following lessons and tips in the order below to master a great golf swing. 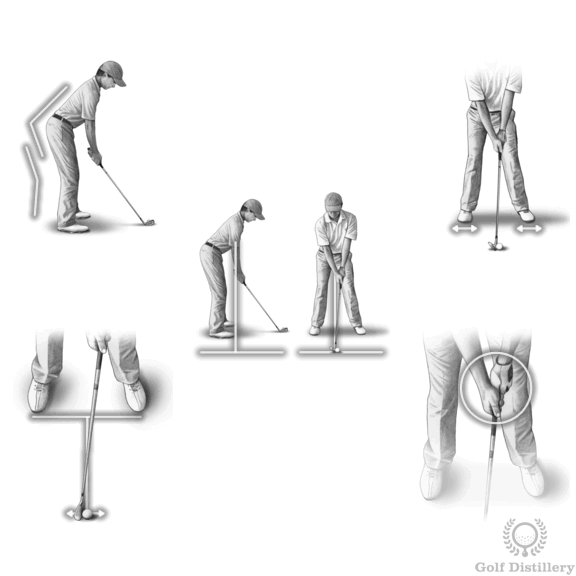 Keep a golf club to hand at home or in the office and spend time each day for a few weeks grooving the various positions and checkpoints. It’s useful to have a full length mirror to check your swing in. Feel free to visit the range as you work through these lessons, but don’t be concerned with the flight of the ball or the contact early on. If you haven’t heard it already, it won’t be long before a seasoned veteran of the game tells you that “golf is all about the short game”. While most us take the greatest satisfaction from hitting a crisp drive that splits the fairway in two, it’s your pitching, chipping and putting that ultimately gets the ball close, and into, the hole. I think most beginner golfers are concerned most about not embarrassing themselves – which is why they focus on improving their drives and iron play. But as soon as you feel reasonably competent with your full golf swing, I encourage you to spend as much time as possible on your short game. 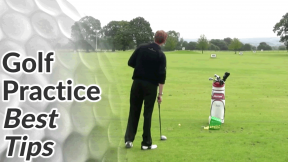 Watch the following lessons and tips below to develop a great short game. Keep a wedge to hand at home or in the office and spend time every day for a few weeks adopting the ideal set up and technique. You can practice your putting at home on the carpet and your chips in the back yard with either a golf chipping net or airflow golf foam balls foam / airflow golf balls. Have you heard the phrase “practice makes permanent not perfect”? You’ll hear it from many a golf pro, including myself. I’m a great believer that if you practice with purpose, you need a lot less of it. I see so many golfers on a day-to-day basis who just pound ball-after-ball-after-ball in the hope that pure repetition will lead to success. In my experience, it doesn’t. 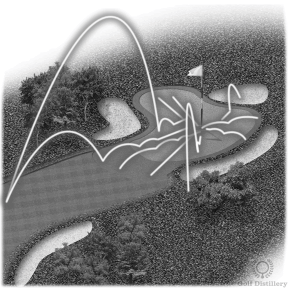 I’ve created a section of the site exclusively for golf practice tips. I recommend you explore it as you begin to spend more time at the range. What’s In My Golf Bag?